Here is a F-16C USAF addition. Credits: BNI for the Model, Bombcat for the excellent logo. I see you fly free falcon? I've been in the falcon community for years now, my ace factor is well above 10.0+, I aggressor train trainees. I wasn't being stereotypical.. I was being honest. Topic: Relevant, Old RPFW Video Demonstrates Dogfighting. Re: Relevant, Old RPFW Video Demonstrates Dogfighting. Topic: YSFlight ver.20120219 TEST VERSION RELEASED! 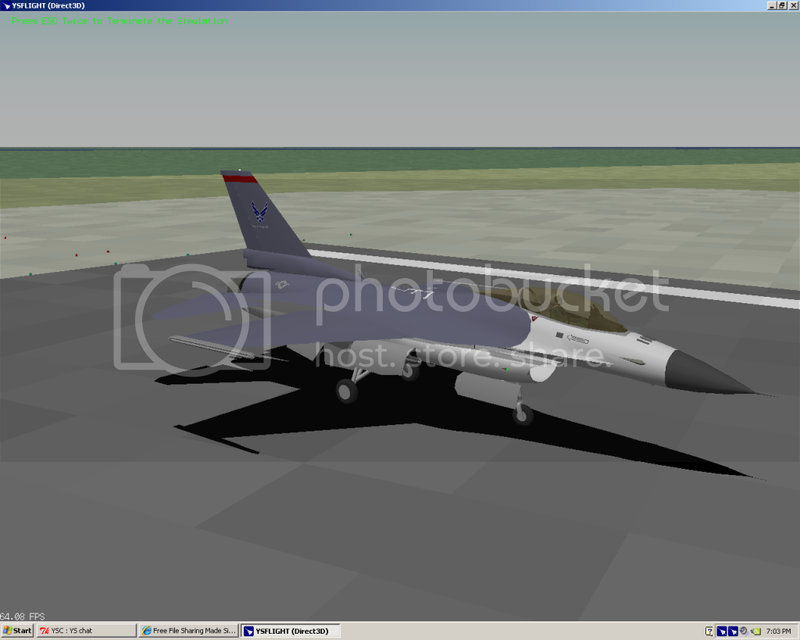 Re: YSFlight ver.20120219 TEST VERSION RELEASED! Oh, I missed a update. I like the changes. Welcome to the forums, Constantinople. Two thumbs up. Fantastic work. Your attitude is spicy, care to have a match and back it up? Topic: [AIRCRAFT] F-16C Fighting Falcon 15th TFS "Windhover"
Re: F-16C Fighting Falcon 15th TFS "Windhover"
The ganja gang, what you know about that?